A teacher of the Law hears Jesus debating with various religious leaders. He asks Jesus which commandment is the most important. Jesus replies that there are two: to love God with all your heart, soul, mind and strength, and to love your neighbour as yourself. The teacher recognises that this is a good answer- to love God and neighbour is more important than all sacrifices. Jesus sees his heart and tells him he is not far from God’s kingdom. A teacher of the Law comes to Jesus to ask questions, but unlike other leaders, he is not looking to trick Jesus or to justify himself- he just wants to please God the best way he can. There is a profound difference in heart attitudes between those looking for religious knowledge or brownie points to assuage feelings of guilt, and those who genuinely love the Lord and desire to please Him. This is the fundamental key to walking in the ways of God. Lord you have shown us that love for you and love for people are at the heart of your kingdom. Help me to walk in the way of love today. Amen. Christ became the perfect High Priest through His own blood sacrifice. This blood is of infinitely greater value than the blood of animals. The blood of bulls and goats cleanses us from outward actions; how much more will the blood of Christ cleanse our consciences! All other high priests passed through a tabernacle made by human hands. But Christ went through a tabernacle that is in heaven and is not touched by the decay of creation. So Christ us the mediator of a new covenant that those who are called may receive an eternal inheritance. There is a tendency in some parts of the church to add various parts of Old Testament religion such as Sabbath observances and other parts of the Law. The writer of Hebrews makes it clear that this is pointless. We have a greater High Priest, a perfect sacrifice, a permanent tabernacle. Why would we want to go back? We must remain thankful for what God has done for us in Christ. To add anything to this wondrous gift is to make it less precious. For God is our King! A famine breaks out in Israel, and a man and wife travel with their two sons to Moab. The sons marry there and after some time the three men all die, leaving their wives widows. Some time later, Naomi hears that the famine has ended and decides to return to her home town of Bethlehem. She urges her two daughters-in-la to stay in Moab and remarry. However Ruth is determined to stay with Naomi. Ruth and Naomi arrive in Bethlehem at the beginning of the barley harvest. Naomi’s life has not turned out as she had hoped. All the men in her life have been taken away, and she has no real prospect for financial security. But Ruth is determined to stand with her and to journey back to Bethlehem with her. Ruth’s faithfulness to Naomi and her pledge to follow Naomi’s God stand out as the positives in this bleak picture. Ruth willingly sacrifices her own self-interest for the sake of Naomi. We see in this a picture of Christ who laid down His life to redeem us and His total faithfulness to His people. Thank you Lord for the example of Ruth who risked her own security and future for the sake of another. Please help me to have this kind of faithfulness to the people around me. Amen. 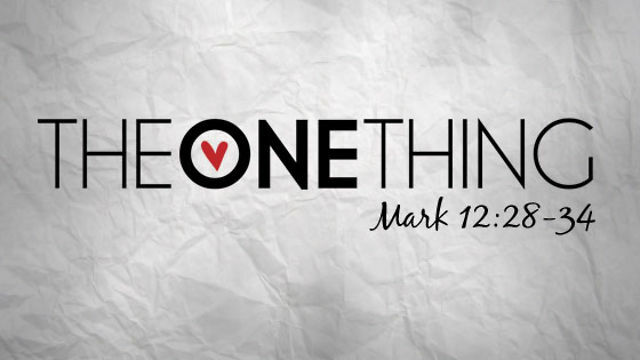 The sermon for October 25th 2015 is now available on the New Life web-site. In this sermon, which is based on the story of Mephibosheth, Susan Nash talks about how being adopted by the King changes our hearts. The crowds try to hush Bartimaeus, but Jesus stops and calls him over. Jesus asks him what he wants. “I want to see” is the reply. Jesus tells Bartimaeus that his faith has healed him. Bartimaeus receives his sight and follows Jesus. We instinctively feel that god’s grace is in short supply and must be rationed out. The crowd thinks Jesus doesn’t have time, power or the desire to heal a mere beggar. We often put restrictions on grace in the same way, expecting that only certain people will be healed (and then only by the mighty anointed man of God) or that salvation is only available to some classes of people. The grace of Jesus is bigger than our puny limitations. Jesus heals believers and atheists, thieves and kings. Bartimaeus had faith in Jesus. Jesus had ample grace for this man’s needs. With Him there is always enough. Jesus said, “Your faith has healed you,” but here the verb also means “saved.” Bartimaeus was healed by Jesus and also saved by Him, and he went on to follow Jesus along the road. Saving faith, healing faith. Both require a trust in the power and the goodness of God. Lord you are the God who saves and the God who heals. May every part of my life be transformed by your touch. Amen. Under the old covenant, the priests were mortal human beings so their tenure was limited by death. Jesus lives forever, so His priesthood is permanent. Therefore He saves us completely because He is always there to intercede for us. The other priests have to offer daily sacrifices for themselves and for the sins of the people. Jesus sacrificed Himself once for all sins. Jesus is perfect so His priesthood remains forever. 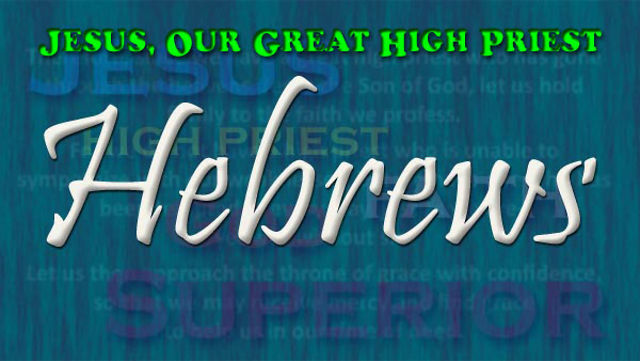 Jesus is our perfect High Priest forever. He is the one-time sacrifice for all sins, the eternal intercessor for our salvation. God’s love is that expansive- it covers every sin for all time. The only restriction is in us- will we receive the forgiveness which is our in Christ? Today Lord I receive your grace. I ask for your forgiveness in the name of Jesus Christ. May your blood wash away all my sin. Amen.